The Louisiana FFA State Officer team comprises ten student officers elected each year at State Convention. Area Officers are elected annually at State Convention and provide student leadership to each of Louisiana's four areas. One Louisiana FFA member is chosen each year to represent our state at the National FFA Convention. 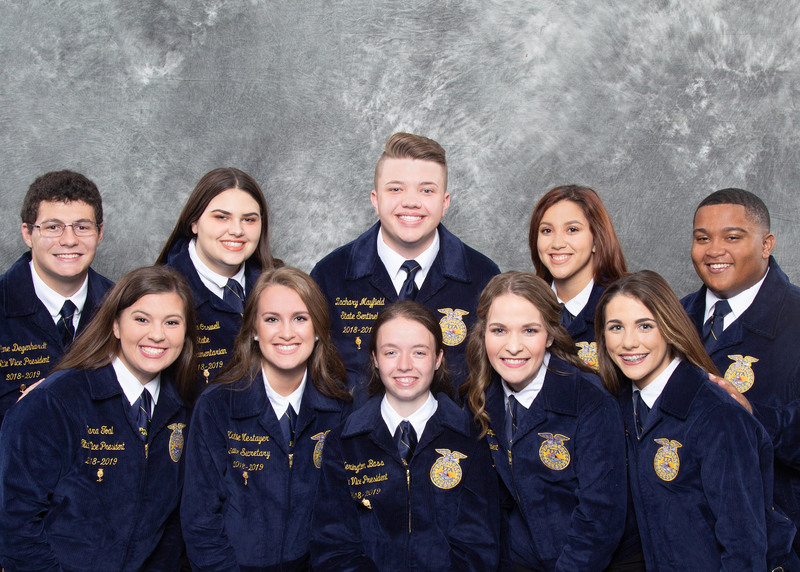 Selecting the best state officer candidates, as defined by the FFA constitution and bylaws, is a challenging task for the members of the nominating committee. FFA is an organization of, by, and for its members. The Delegate Process secures the right of Louisiana FFA members to shape the direction of the association. Past State Officers are important to the success of Louisiana FFA and the future of agriculture. We would love to keep in touch with you about future opportunities.